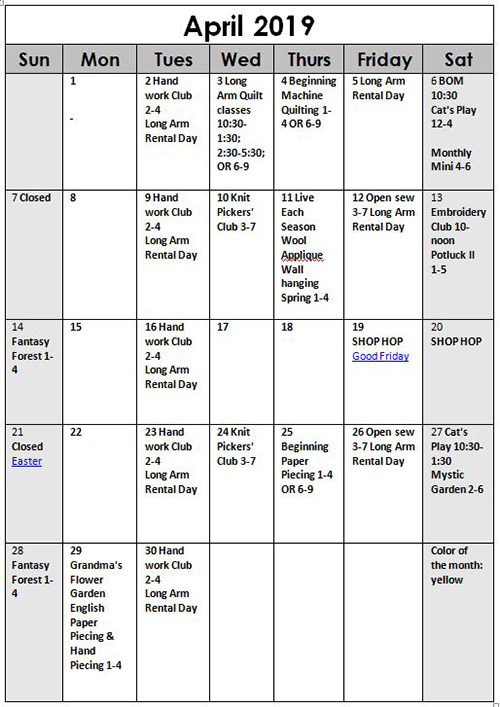 The Spring 2019 schedule is done! We may make a few changes here and there and we may add a class or two. Please feel free to sign up now -- and if you are interested in any class, but aren't sure, please just tell us and make sure we put your name down anyway. That will help me prepare better for upcoming classes. And I'm serious about telling us -- or me in particular -- to write your name down -- I forget to do that & then I never know who is coming to class. You'll be doing me a favor by helping me stay on track. This is an ambitious schedule. There may be some mistakes, which means I am sure I got something wrong. Class quilts will by at the end of the month. Aegean Sea Quilt, Monday Jan 21 & Feb. 18, 10:305 Sue Frerich $25 Red, black & white makes for a striking quilt, in this Star and Greek Key geometric quilt. The piecing may look intricate, but Sue will give you great tips on putting this classic yet modern quilt together. Attic Window Basics Wed Mar 20, 10:30-4 Barb Boyer $20 This class will give you the basics of cutting & sewing the Attic Widow block. We will practice the mitered corners on scrap fabrics first, before you start on your own quilt. You can take a panel & make it into a window pane quilt; you can do an I Spy quilt with attic window treatment on all four sides, or just put a mitered border on a quilt. Your choice. Beginning Machine Applique Thurs May 2, 1-4 OR 6-9 $25 Barb Boyer So many quilts use applique these days. Learn the ins and outs of machine applique, from points to curves. We will practice the button hole/blanket stitch, satin stitch, and you can also play around with your decorative stitches. Threads, fusibles and stabilizers will be discussed. Beginning Machine Quilting Thurs April 4, 1-4 OR 6-9 $25 Sue Frerich Be prepared to quilt! You will practice your quilting skills on various samples, using both your walking foot and darning foot. Batting, threads, needles and patterns will be discussed. Who knows? By the time you leave you may even be able to write/quilt your name! Beginning Paper Piecing, Thur April 25, 1-4 or 6-9 Sue Frerich $20 Learn the basic of paper/foundation piecing. This is a technique class where you will learn how to cut, sew & trim - all the essential steps for successful paper piecing. If you are not sure about stepping into a big paper piecing project and just want to learn the basics, this is the class for you. Beginning Quilting Thurs. starting Sun Jan 27 1-4 OR Thur Jan 31 6-9 8 weeks $65 Barb Boyer This comprehensive 8-week course will introduce to you almost everything you need to know about piecing a quilt top. Along the way you will learn about color, batting, thread, machines and various techniques to give you the skills to make almost any quilt. Binding May 3, 1-4 Barb Boyer $20 This is an extended binding class. You will learn how to cut bias & cross grain bindings, how to sew it on including mitering the corners and joining the ends, & how to hand stitch the final side. Then in class, you will attach a binding to your own quilt. You will need to have a small project quilted & ready for binding. Block of the Month First Sat of month 10:30-11:15 FREE Barb Boyer Join at any time. You get a free fat quarter if you come to class with the previous month's completed block. This year we're making a black & white + one color quilt. The challenge, if you choose to accept it, is work within the black & white palette (plus one color placed where ever you like). For the color choice, we are drawing paint chip cards, covered in newspaper so you can't see what color you're getting. But...if you don't like the color you've drawn you can 1) swap with a neighbor, or 2) draw a new color. And if you just can't bring yourself to work in neon green and no one will swap with you, you can just choose your own color. Cat's Play Sat April 6 & 27, 10:30-1:30 Sue Frerich $20 This is a small wall hanging, designed to teach a particular machine applique technique. In the first class you will learn how to make the block. It's easy and you will get a lot done in class. By the second class, you should have your quilt finished and the class will concentrate on the applique technique. This is a turned edge method for machine applique, which results in a finished, not a raw edge, applique. Fancy Forest, an Elizabeth Hartman quilt Sun April 14 & 28, 1-4 Sue Frerich $25 This is a delightful sampler quilt featuring animal blocks: Fancy Fox, Hazel Hedgehog, Bunny, Thistle, Francis Firefly and Allie Owl. This fat quarter friendly project is sewn with simple straight and diagonal seams with no templates or paper piecing. Just so you know, the Diaphanous fabrics line from In the Beginning would be a great choice for some of the animals. You can make the quilt in baby, wall hanging or bed size. FanFaire Sat May 18, June 15, July 20 10:30-5 Jean Korber $25 This quilt is a Krista Moser quilt, no template piecing. 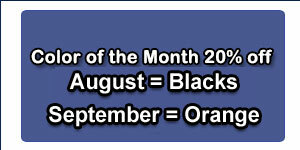 FanFaire, is a 4-month block of the month. Each block is made twice totaling twelve blocks. Every block teaches you a new way to use the Creative Grids 60 Degree Diamond Ruler, designed by Krista Moser. Cut a combination of diamonds, triangles, hexagons, parallelograms and trapezoids to create this fun quilt, and all with one ruler! This quilt goes together fast and is oh so striking! Grandmother's Flower Garden, English Paper Piecing last Monday of each month, 2-4 Barb Boyer $20 (one time fee) We will teach the basics of English Paper Piecing, the simple & easy way to hand piece. 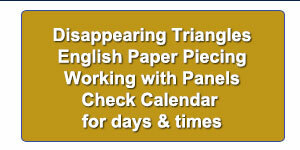 English paper piecing dates back to the early 1800s. It is a hand sewing method that uses paper templates to help sew complex angles together, like hexagons. Any number of different designs can be made, including Grandmother's Flower Garden-this is the pattern we're doing this year. We will also show how to hand piece the traditional way, also, if you are interested. Half Log Cabin Quilt Wed Feb 6 & Wed Feb 20 10:30-4 Barb Boyer $20 We are focusing this year are various ways to make log cabin quilts. This first quilt is a half log cabin, logs on two sides, not all four. And it features a scene for the "square" in the middle. We have kits of the quilt hanging in the classroom, which is a perfect summer time camping quilt. Hand Applique/Back Basting TBA Sandra Freeburg Feb 13, 10-noon $25 or call for other dates Back basting is a template free method of needle turn applique. No slippery freezer paper or chalked lines on top that never seem to get turned under quite right. This method is especially great for traveling, because your pieces will be basted onto your background -- no need for pins to get in the way. This class is great for beginners and all levels of appliquers. Don't let hand applique frustrate you. It's really easy and relaxing! Hand Embroidery Club 2nd Sat. of the month, 10noon FREE Kathy Sconce If you want to learn to hand embroider or just brush up your technique, join us on the second Saturday of the month from 10 to noon. You can work on your own projects or you can join the project we are doing. This year we are following a purchased pattern called Gardner's Alphabet Quilt Block of the Month by Crabapple Hill. We will explore a variety of embroidery stitches for each block each block (2 letters per month), plus we will learn how to color with regular crayons to enhance the blocks. Each month Kathy Sconce shows us a new stitch to try, plus, she guides us through thread choices, how to knot, fabrics to use, and tracing techniques. Hand Quilting Jan. 16, 10-noon Sandra Freeburg $25 Watch the calendar or call for other dates Hand quilting is an art that should not be lost. By the end of Sandra's class you will be hand quilting with confidence. Everyone has at least one special quilt that calls out for hand quilting. And there is nothing better than the feel of a hand quilted quilt. Do yourself a favor and learn this art that connects us to our past -- our mothers, grandmothers and great grandmothers. Knit Pickers' Club 2nd and 4th Wed of each month, 3-7 Carol Moler We are changing up the Knit Pickers' Club. We're going to knit 2 days a month every second and fourth Wednesday, and we'll start earlier in the day at 3. For those you you who work, we'll still be knitting 'till 7. The Club is open to all skill levels. We want to share what we've learned, find new patterns, and simply just sit and knit. We work on some felting projects, fingerless mittens, mittens, and socks. And we are working on a group project-meaning everyone does the same pattern. Each month we will learn a different pattern, make it into a square and eventually put all the squares into one project-afghan, scarf, bag, etc. Live Each Season Wool Applique Thurs: Jan 10, Feb 7, Mar 7, April 11, May 9 (& rest of year) 1-4 Barb Boyer $20 This wool wall hanging has 4 rows: Spring, Summer, Fall & Winter. We will start with the Winter Row in January. We will take 2 months per row, and we'll take July & August off. You will learn wool applique, various embroider stitches, and how to add fun embellishments to your wall hanging. Log Cabin Cabins or Cabins in your Log Cabin Quilt, Sat Feb 23 & Mar 23, 10:30-5 Barb Boyer $20 This is the second log cabin quilt we will make this year. This quilt, from Judy Martin's Log Cabin Quilt Book puts cabins into the corners of the log cabin blocks for a very striking & different log cabin quilt. Long Arm Quilting Classes Wednesdays from 10:30-1:30, 2:30-5:30 or 6-8:30 Barb Boyer $30 (check calendar for specific times & dates) In this class you will learn all about the Nolting long arm quilting machines: loading, threading, quilting. I'll demonstrate how to load and thread, set stitch length, change tension, wind and load bobbins. Then I will load a practice quilt onto the machine and show how to do hand guided quilting. Each student will be given at least 15-20 minutes of practice time. (Each class is limited to 4 students). 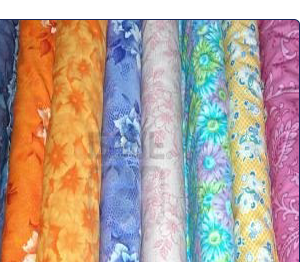 You will be able to do free hand quilting plus you can practice following a pantograph. Any quilter who wants to rent to machines must take this class first, regardless of whether you have experience on a long arm machine. This class is not designed to teach you everything there is to know about long arm quilting-it's just a start. Machine Applied Binding Mon April 8, 1-4 $20 Jean Korber Jean will teach 2 different machine applied bindings. One style uses cording to help keep the binding straight & true. The other uses a flange, for a twotoned binding. Putting binding on by machine cuts your time more than in half-and by using cording, you can have a perfectly applied binding with no messy "oops" where your stitching just didn't quite catch the binding on the back side. And, you will have time to cut and attach one of these bindings on your own quilt , so bring a small quilt that is ready for binding to class, so you will get some hands on practice. Monthly Minis First Saturday of the Month, 4-6 This year we are going to do several different wall hangings. These will be kitted with all of the necessary fabrics and patterns. We will work on the same wall hanging for 2-3 months. You can choose to do one or all of them (I think I have 4 scheduled). In class we will learn various machine applique techniques to use on the blocks and some of the kits come with embellishments, so we will discuss how to add the embellishments to the quilts. First quilt: Snowmen! Moose in the Woods Sat Jan 12, 1-6 Barb Boyer $20 This is a flannel quilt, with mitered borders. The pattern is free, and we did have kits but have sold them out. If you already have a kit, this is the class for you! The purpose of the class is to teach mitered borders. So if you don't have a kit, you can still take the class to learn how to put on a mitered border. Mystic Garden Sat. 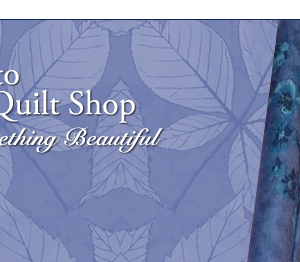 April 27, 2-6, then a quilt retreat weekend at the shop, May 25-26, 10:30-6. Barb Boyer $30. 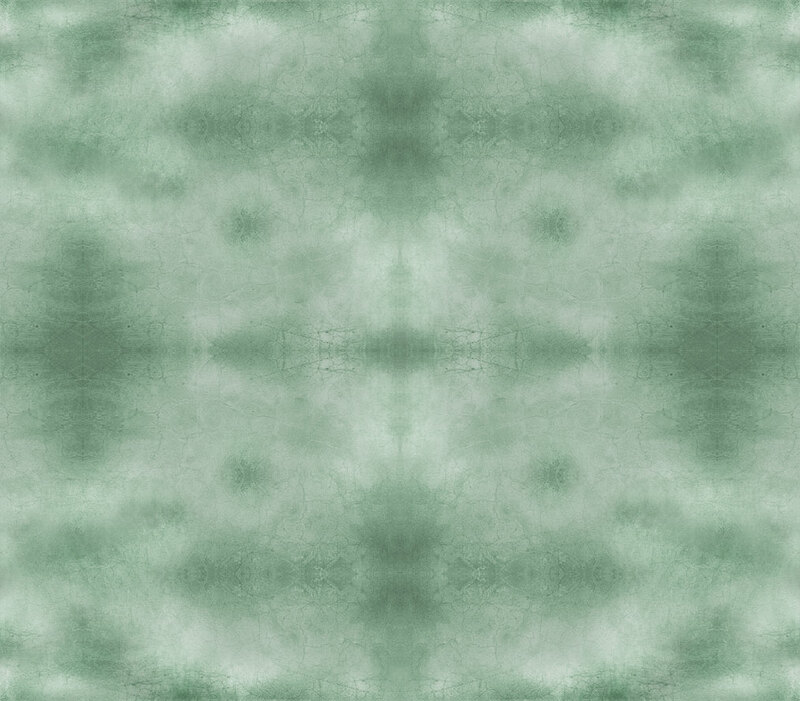 This quilt uses the In the Beginning Diaphanous fabrics (most of them). This is a color wash styled quilt, with appliqued circles. I will teach a different turned edge applique method, suitable for blind hem stitch. The tough part of the class is not the piecing or the applique: it's keeping the fabrics in the right order. Thus, the retreat, so you don't have to take down your fabrics in between classes. One Block Wonder Panel Quilt Class Reunion Jan 26, 4-6 Then class is Feb. 16, Mar 16, and Mar. 30, 10:30-5 Sue Frerich $25 For all of you who missed the class before, you don't want to miss this class. First we'll have a trunk show to showcase all of the One Block Wonder Panel quilts you've done over the last couple of years. Everyone is invited to come see all the wonderful quilts--which means, everyone who has taken the class, get your quilt tops done! You have a month to go before the reunion! The next class starts in February, so sign up early to make sure you get a space--which is limited for this class. And start choosing your panels for your own One Block Wonder Panel Quilt. Paper Pieced Tulip Sat Mar 2, 12-4 Sue Frerich $25 You will learn to make this beautiful tulip block and you can turn it into a wall hanging or make more for a bed sized quilt. This class is suitable for beginning paper piecers (see also Beginning Paper Piecing). The required book also has more paper pieced flowers, so once you learn how to paper piece, you can make any of the other flowers in the book. Potluck II Second Saturday of the Month, 1-5 Ginger Newman $20 This is a free form, with some structure, class. It involves scraps, color, free form techniques, make it work anyway you want, and liberated thinking. I've never had so much fun and we want everyone to try this style and join the fun. This spring we are adding a twist: We are going to "collaborate" on a different block each month, selection chosen at random out of a hat. The challenge is make at least one block that you can 1) use into your quilt, 2) trade with a class member or 3) save it in your parts department for later. We will teach the blocks from Gwen Marston Collaborative Quilting book. Project Day: Jan 24, Feb. 21, Mar 21, May 23 & 30, 1-5 Barb Boyer $20/per class On Project Day for Spring, we are doing needle cases. The first project is a little needle case in wool, with a cat (or other applique of your choice) (no picture of this case) appliqued on top. This project will be kitted with the wool and embroidery threads - everything you need to make the needle case. The second needle case is from a pattern by Sue Spargo. This needle case will not be kitted, but we have plenty of wools for you to choose. This needle case is very colorful and we want you to choose your favorite colors for making the case. We will teach the stitches and we'll have in stock Sue Spargo's Creative Stitchery book. The last needlecase project is out of the Stitches from the Yuletide by Kathy Schmitz. This is a two session class: one session for the needlework and one to make the bag. We will add a session if needed. This needlecase will not be kitted either. Ribbons & Roses Sat Jan 19 10:30-5 Sue Frerich $25 Ribbons & Roses is a Southwind Design pattern by Annette Ornelas. It features her signature dimensional curved piecing, created with straight-line piecing. After Sue showed her quilt, she got requests to teach it, so the class has been scheduled by popular demand! Come learn this interesting and beautiful technique that puts curves into your quilts. Sew Simple Pineapples Sat Jan 26, 10-4 Daenette More $20 Most quilters have the Pineapple Block as one of their bucket-list quilts they want to accomplish. 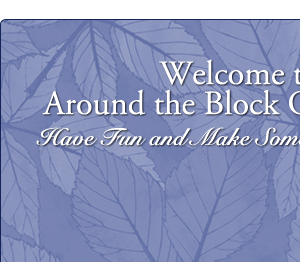 Daenette has great tricks & tips to making this block. You don't want to miss the class! Spoon Quilting Wed. Mar 13, 10-noon. $25 Sandra Freeburg No more sore fingers! Learn to Spoon Quilt, with a special spoon quilting tool. This tool helps you keep your stitches tiny and even without pricking your finger. Need to have basic quilting skills (rocking motion quilting). We will honor only one discount -- whichever is largest. You can't combine a 10% with a 25% discount to get a 35% discount. On this we can't be bribed.